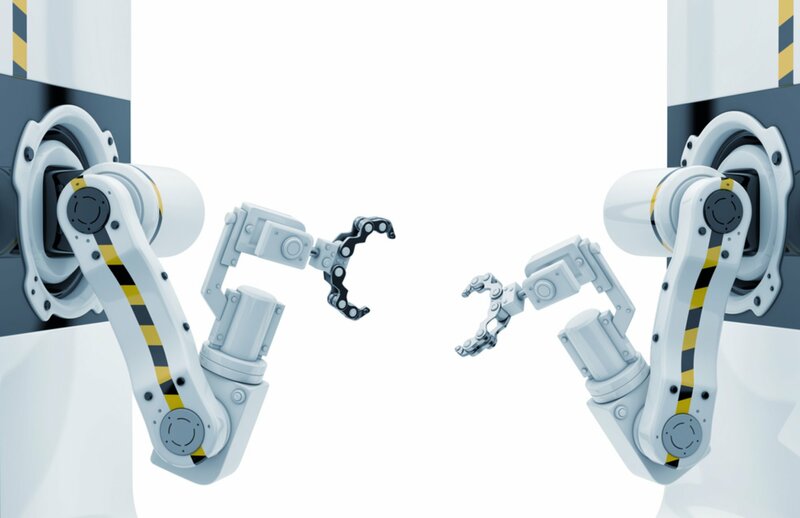 Only last month, The Boston Consulting Group published an article claiming that “manufacturing is on the cusp of a robotics revolution”, estimating that “robotics could cost effectively replace or augment 50% of the tasks done in a plant today”. Furthermore, this knowledge has been coupled with fresh statistics published by Forbes, stating that “47% of all employment opportunities will be occupied by machines within the next two decades”. As technology has advanced parallel to the cost of investment within it, the concept of robotics has existed for years, yet if one was really seeking to find its roots, it “can be traced back to the Greek philosopher Aristotle speaking about automated tools, all the way through to Henry Ford’s Model T assembly line”. One of the truest inceptions however, can be dated back to 1956, with a seemingly innocuous introduction between inventors at a dinner party, kick-starting the invention of the “very first industrial robot”, named “Unimate’. Fast-forward to 2014, and “President Xi Jinping called for a “robot revolution” that would transform first China, and then the world”. In 2016 it became evidenced that he wasn’t wrong, with an artificial intelligence system known as ‘AlphaGo’ proving to in fact defeat world-champion Lee Sedol at the board game ‘Go’, thus overpowering his human skill. Evidentially, with staggering consequences not just for the industry itself, but the millions of people employed within it, the question can be raised as to why these predictions are only entering public knowledge now. So, why now? Unsurprisingly, the technological boom of the 21st Century has a lot to account for this, with new advancements in artificial intelligence accelerating far faster than initially anticipated. As a result, “processors have become faster, data sets bigger, and programmers better at writing algorithms that can learn how to improve themselves”. Furthermore, a process described by The Financial Times as “the march of the machines” has gained pace as the result of a steep decline in the price of industrial robots and an increase in their proficiencies. The notion that robotics will soon be able to replicate tasks carried out by human workers, and to a more efficient and effective standard, holds real weighting for those working within Manufacturing. One of the major advantages of robotic machinery, is that “due to more sensitive motors and actuators, they’ve become incredibly precise, which enables them to work with small components, often with far more accuracy than a human can achieve”. Unsurprisingly therefore, this new age of technology is proving a viable alternative to a purely, human-labour based workforce. On the other hand, recent research suggests the real threat is surprisingly less than first anticipated. In fact, Time has reported that experts from McKinsey & Company “found that less than 5% of jobs can be completely replaced by technology”. In an article published this year, Forbes explored the way by which US labour, as a case study, can be divided into three, separate sectors, with regards to the impact of robotics in the workplace; they discovered that whilst a third of the workforce would experience a substantial decrease in the need for human workers, another third would simply need to “adapt!, with the final third predicted in fact, to “grow and expand”. Nevertheless, this prediction is still marked with caution, as “the growth won’t be nearly as big as the losses in the declining areas”. It seems more likely, therefore, that in the years to come, human and robot-operated labour will work in conjunction, as companies learn to evolve and adapt. E-commerce giant Amazon, who had 45,000 employees in 2014 when the company first introduced robots to their supply chain, have now “grown to over 90,000 employees, while continuing to add robots to its operations”. In their depots, their “Kiva robots scurry around, not picking things off shelves, but carrying the shelves to humans for them to select things”. In addition, General Motors “grew from 80,000 US employees in 2012 to 105,000 in 2016, while increasing the number of new US robot applications by about 10,000″. Thus, as is proved as time elapses, markets are increasing through new job creation as automation improves efficiencies and decreases costs. With the formation of this collaborative, workplace evolution, it is becoming increasingly imperative for companies to hire the correct calibre of professionals for roles that will require both a niche knowledge of automation and robotics, and for the most efficient search firms to source them at the highest level. Operating globally, IRG Executive Search consists of a body of professionals with proven success in this field, and the ability to acquire retained mandates. ← How is knowledge of Big Data and Analytics shaping the future of Supply Chain?